The links between the ions inside the blades are strong. However, the links of the sheets together are weaker, facilitating the exchange of electrons of the clay with the body, therefore disabling the toxins in the body. This phenomenon occurs by the action of the ions when the clay is moisturized. The clay absorbs copper, zinc, cadmium, lead, mercury, and many other minerals. 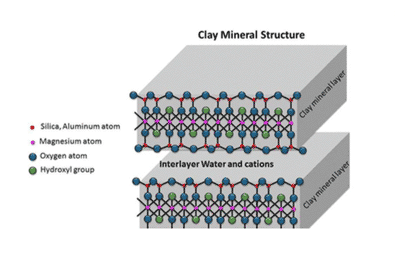 Metal toxins give electrons to non-metal components, semimetals and hydrogen clays. – Combining with cell membranes, which disturbs or even completely prevents the transport of essential elements such as ions Na+ and K+. These substances participate in the neuronal communication process. Due to the high permeability of the placenta, the fetus also suffers all the consequences of heavy metal poisoning.